Benalla area residents and companies do not need to go further to search for the best earthmoving contractors or excavator hire. 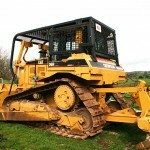 Mansfield Plant Hire has services and equipment hire offers to suit needs of the Benalla area. Mansfield Plant Hire also includes these services: earthmoving contractors, tree stump removal, dam construction and digger hire. They offer a one stop shop solution for excavation and earthmoving needs. Thus Benalla can count on them for fast and quality work. The company goal is to build professional long term relationships with clients and suppliers. Mansfield Plant Hire is determined to become the leading Benalla earthmoving contractors as well as the North East of Victoria. Over the years, the company has become experienced on the different services offered. Constant updating of equipment and personnel development make them confident of giving quality service to all clients. Self sufficiency is something that the company is proud of. They have standby generators, tools, spare parts and other onsite needs. Clients do not need to worry about this. Safety is a concern at all times. Clients, personnel as well as the environment are taken into consideration for all projects. They believe in the rule “Safety First”. Apart from services, Mansfield Plant Hire has available excavator hire as well as digger hire. They have 2 types of rental method. One is the wet hire which is equipment rental with operator and the dry hire wherein client provides the operator. Clients are assured of top of the line equipment. They are equipped with the accessories or attachments needed to do the job. 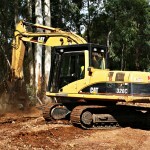 They are not only Benalla excavator contractors but can also do clearing and fire break work. A tree mulching excavator attachment, rippers, log forks and saws are also on hand for any road maintenance work. They have tipper trucks and trailers to take care of transporting unwanted logs from the project site.